Description EPA 28 MPG Hwy/21 MPG City! 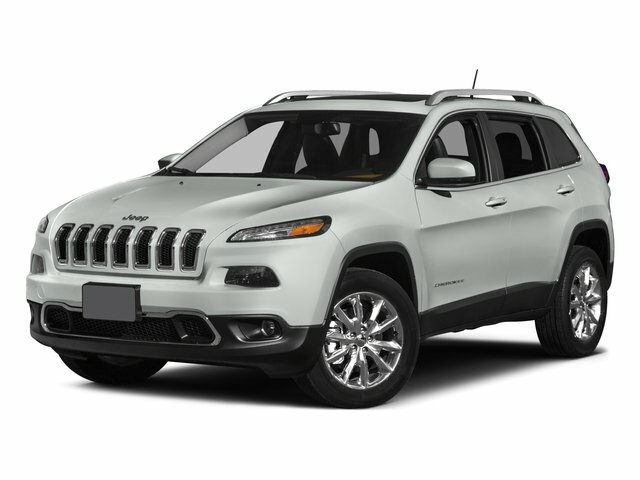 Heated Leather Seats, Nav System, iPod/MP3 Input, Onboard Communications System, Dual Zone A/C, Remote Engine Start, Back-Up Camera, ENGINE: 2.4L I4 MULTIAIR, TRANSMISSION: 9-SPEED 948TE AUTOMATIC... READ MORE! Leather Seats, 4x4, Heated Driver Seat, Back-Up Camera, iPod/MP3 Input, Onboard Communications System, Aluminum Wheels, Remote Engine Start, Dual Zone A/C, Smart Device Integration, WiFi Hotspot, Heated Seats, Heated Leather Seats Jeep Limited with Diamond Black Crystal Pearlcoat exterior and Lt Frost Beige/Black interior features a 4 Cylinder Engine with 184 HP at 6400 RPM*. RADIO: UCONNECT 3C NAV W/8.4" DISPLAY SiriusXM Travel Link, (Registration Required), GPS Navigation, HD Radio, SiriusXM Traffic, TRANSMISSION: 9-SPEED 948TE AUTOMATIC 1 speed PTU (STD), ENGINE: 2.4L I4 MULTIAIR Tigershark (STD). Rear Spoiler, MP3 Player, Privacy Glass, Keyless Entry, Steering Wheel Controls.